I’m not a huge fan of research, I’d much rather jump into a story and start writing. But I’m finding with my current WIP that I’m having to stop every so often and look things up. (I’m saving the nitpicky type things for the revision). In one of my searches, I came across this picture and knew it was perfect for what I needed. 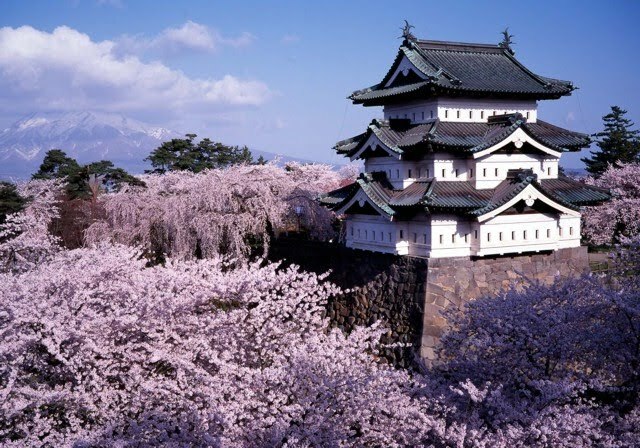 It is the Hirosaki Castle in Japan. And it’s gorgeous. 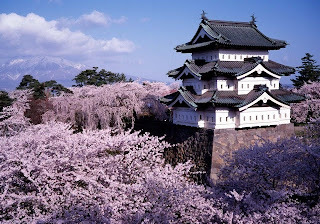 There are few places in the world I wouldn’t love to travel to, but Japan just made the top of my list! And, even better, it helped me get a grasp on an important aspect of that WIP. Research for the win! How about all of you? Do you do your research before staring to write, or do you just dive in? I had to research a lot before I started. I couldn't visualize anything until I did! Gorgeous pict, wow. That's food for the imagination! As a writer, I generally jump right in and then research when I hit a spot and need a little inspiration! I can certainly see how that locale would be inspiring! I'm the same way, Kristi! Though, like Lydia, I do find it easier to visuallize if I have pictures before hand!